Scheda: Nazione: Taiwan-Hong Kong - Produzione: Golden Harvest Company, Gam Chuen - Distribuzione: PanMedia - Soggetto: King Hu - Sceneggiatura: King Hu, Wong Chung - Fotografia: Tsing-Can Chun - Montaggio: King Hu - Direttore delle arti marziali: Zhu Yuanlong (Sammo Hung Kam-Bo) - Formato: Eastmancolor, linguaggio mandarino - Durata: 105'. 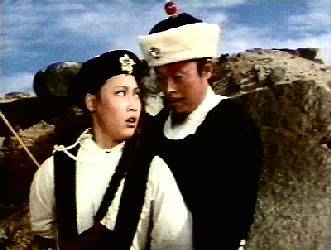 Cast: Ying Bai, Hei Chan, Nan Chiang, Roy Chiao, Ging Man Fung, Yin-Chieh Han, Li-Gen Her, Pak-Kwong Ho, Feng Hsu, Ching Hu, Li Hua Li, Tai Li Wen, Helen Ma, Angela Mao, Kuan Shang, Feng Tien, Ping-Ao Wei, Jiaxiang Wu, Ming-tsai Wu, Yang Xie, Ho Lee Yan, Wai Yeung. 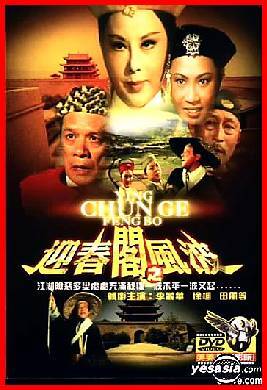 Plot Summary, Synopsis, Review: IMDb - allmovie.com - film.the-fan.net - kungfucinema.com - archive.sensesofcinema.com - hkflix.com - dragonsdenuk.com - cinefacts.de - zelluloid.de - yesasia.com: «Considered one of the classics of Chinese cinema, The Fate of Lee Khan is a stunning martial arts film from one of the genre's true masters, director King Hu! 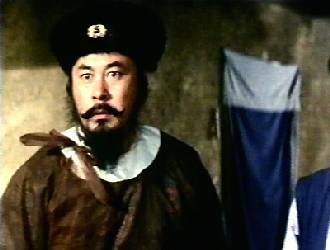 Lee Khan (Tien Feng) is a Mongolian prince who is rumored to be arriving at a remote inn to obtain a secret war map. 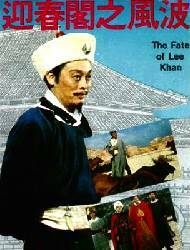 But the Chinese rebels learn of his appearance and plot to kill him. On the fateful day of his supposed arrival, numerous characters - some bearing potentially dangerous secrets - make their way in and out of the inn. 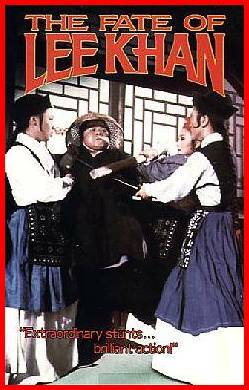 Among them are the innkeeper (Li Lihua), who has hired four new waitresses - who just so happen to be assassins! 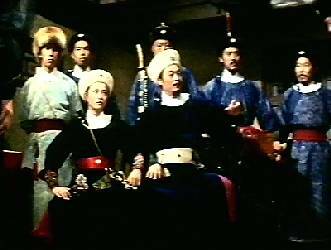 But Lee Khan has his own protectors, including a group of bodyguards and a beautiful Princess (Hsu Feng), who may be more skilled with the blade than the assassins! As the players continue to arrive, the situation grows more tense and more loaded...until bloodshed is inevitable! King Hu expertly weaves an involving and intricate web of characters and motives, each taking on fascinating complexity and authentic-seeming life. 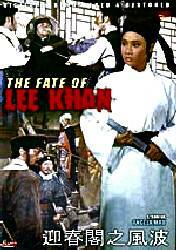 Featuring marvelous action sequences and a large cast of well-known Hong Kong Cinema names, The Fate of Lee Khan qualifies as a must-see for fans of this unique Hong Kong Cinema genre!». 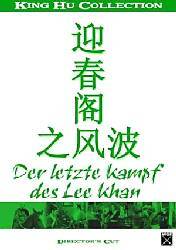 Conosciuto anche con i titoli: Ying chung gok ji fung boh; Der letze kampf des Lee Khan.